Our mission, vision, background and team. Partnerships creating the most complete solutions. How our solutions changed organizations. 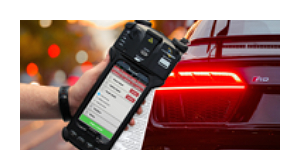 Reduce costs, create efficiencies, increase employee productivity and gain visibility into your parking enforcement operation with UPsafety's ToCite® & CityCite® solutions. Enforcing property code and regulation compliance with UPsafety's CodeCite® saves time and money while creating a safer, more peaceful environment for residents. UPsafety's ForCite® software creates an affordable, time & money saving partner that streamlines traffic enforcement, integrating seamlessly into existing sytems & databases. The quickest & easiest path to expedited revenue return on University, Corporate & Municipal Parking Tickets & Permits. 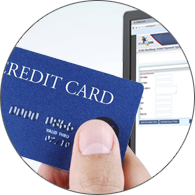 An easy to use, online, all-in-one back office solution. At United Public Safety, we're not just a company that's resolved to providing best-in-class enforcement solutions. Doing good and showing compassion for the whole is a guiding principle and company Core Value. See where we'll be and come out to meet us! Read what thought leaders have to say about the current industry in Upsafety InCites. UPsafety keeps you in the know about what's going on in the world of parking, permit & e-citation solutions. Stay up to date with parking & e-citation news, events & rugged handheld devices. Our newsletters spotlight issues that impact parking & permitting for municipalities, schools & medical institutions. From time to time United Public Safety will test and review equipment that we feel could be beneficial for use by Parking Enforcement Officers in the field. The hope is that the equipment we test and review will be rugged, improve efficiency and bring value to a department. Recently, United Public Safety purchased a newly introduced product named the Nubrella. Join me while I test and review this product to determine if the Nubrella is a product that we would feel comfortable marketing to our clients. The Nubrella is a brand of sweetened hazelnut cocoa spread manufactured by the Italian company Ferrero that was first introduced in 1965, although its first iteration dates to 1963. That’s Nutella. Let’s start over. The Nubrella is marketed as a hands-free alternative to traditional umbrellas. The product provides a partially transparent canopy that hovers roughly 6 inches above the user’s head. The canopy is attached to a backpack structure, with both chest and abdominal straps to help secure the product to the user. What are the Attributes of Nubrella? The Nubrella presents two obvious benefits to the user. First, it provides cover from inclement weather and the liberty to freely use both hands while staying protected from inclement weather. Second, the product is lightweight at 3 lbs. and seems to be very well made when observing the overall design, structure and materials. 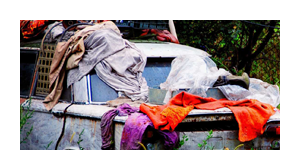 The product seems durable based on material and quality stitching. For the most part, the product is fairly comfortable to wear. These benefits make the product ideal for sports photographers and those in similar professions. What are the Drawbacks of Nubrella? The Nubrella is quite bulky in appearance. The engineering of the product adds several inches of width and height to any individual that wears it, making entering and exiting small areas a challenge, and entering and exiting a vehicle not possible. The canopy of the product catches wind easily, creating a parachute effect that could potentially affect the user’s stance and stability. At a retail price of $79.99, the Nubrella is a well-made, sturdy product that brings the significant benefit of hands-free usability while staying dry in inclement weather. I would not recommend this product to a Parking Enforcement Officer based on the overall awkwardness of the product. It is already difficult being an enforcement officer, let alone wearing a contraption that may draw undue attention. 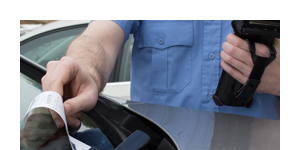 Many Parking Enforcement Officers utilize vehicles on a daily basis to perform their duties, and having to constantly take off and put on the product would just not be feasible in a role where seconds matter. In conclusion, while I believe that the Nubrella is a great alternative to traditional umbrellas used in some professions (such as photography), I do have to compliment the designers of the Nubrella for thinking outside the box and I look forward to reviewing their next product. Sign up to get notified about future UPsafety InCites. Your email address will only ever be used for communication from UPsafety. Unprecedented 24/7/365 support with no per-ticket costs and no revenue sharing. 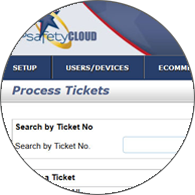 UPsafety offers highly efficient, complete, technology-driven parking, permitting, code enforcement and e-citation solutions. We believe enforcement should be intuitive and cost-effective from start to finish.